Streaming video on-demand (or SVOD for short) has really taken off over the last couple of years. With the introduction of Netflix to Australia in 2015, streaming services have become the new revolutionary media platform. And for good reason – there are no ads, you watch what you want – when you want, and you get access to new shows and movies that you don’t have to hang out for to watch on regular ole TV. In these phenomena, Fetch has emerged as a strong contender to supply all your streaming demands in one simple place; its appeal and main premise are a little different to Netflix or Stan or so read on to find out exactly what Fetch offers. These packs cost $6 a month each, or you can bundle all four together for a total of $20. Of course, these packs aren’t mandatory to purchase. If you don’t want to pay for an extra subscription, Fetch TV is compatible with free-to-air (FTA) services such as ABC iView, SBS On Demand and Tenplay. For about a $400 initial price or less, Fetch TV has the capability of being your new home entertainment hub. What broadband do I need for Fetch? For $0 extra per month on 24 month NBN plans you’ll get a Fetch TV Mini player. Plan and entertainment additions are then as normal. You can then upgrade to the Fetch Mighty for $250, which is cheaper than its retail price. Overall, iiNet looks to be one of the cheaper providers to have Fetch, but beyond the Fetch Mini you still have to pay for an additional entertainment packs yourself. Little brother to iiNet, Internode, also has Fetch entertainment bundles – but this time you’ll pay $10 extra per month. So what does $10 get you? On NBN plans you’ll get the Fetch Mini and all the included content you’ve come to expect with Fetch. Plus you’ll get one included channel pack. Alternatively, you can also get just the Mini for $5 per month if you’re not interested in channel packs. Unlimited data starts at $70, while top-flight unlimited NBN costs closer to $100, plus the $10 for Fetch. The third perennial provider to offer Fetch TV bundles with broadband is Dodo. With Dodo, you can bundle in either a Fetch Mini for $15 extra a month, or a Fetch Mighty for $20 extra per month. This brings the cheapest bundle to $75 a month, but this doesn’t include unlimited data. As a Vocus Communications stablemate to Dodo, iPrimus surprisingly has a very different approach to its sister brand. Plans with Fetch included start at about $90 a month and come with unlimited data. With this you’ll get the Fetch Mini box plus one channel pack, all on NBN 50 speeds. Plans come with local and national calls as standard, and a 24-month contract. To set up Fetch you’ll pay a $55 activation fee, plus $15 postage and handling. For one of the more straightforward approaches to Fetch + internet, iPrimus stands out among the providers. Optus may be one of the first ISPs you associate with Fetch TV, as in the early days Optus was one of the early adopters of bundling Fetch TV with a broadband plan. Optus Fetch bundles start at $99 a month, and this fee also includes Optus Sport as well as one channel pack. Plans come with the Standard Plus speed tier as standard, with the option of Premium for $30 extra. Optus notably has the rights to English Premier League football. If you’re a Manc or a West Ham United hooligan, you might find yourself keenly interested in these plans. Ordinarily, Optus Sport (which covers EPL) would cost $15 extra a month after buying the Fetch TV player outright. Entertainment bundles with Optus are not only convenient, but may also work out cheaper than if you sourced every component separately. What’s the difference between the two Fetch TV media players? There are two different types of players that Fetch offers. They are the Mighty player, and the Mini player. The key difference: One allows you to record TV and the other doesn’t. With the Mighty player you can record live TV. It’s not just a streaming device; it also acts as your personal video recorder (PVR). The Mighty allows you to record up to six channels while watching another, and its intuitiveness means you can easily record all shows in a series. Fetch claims the one-terabyte hard drive is big enough for 585 hours of recordings, which is fantastic. The Mega player retails for $399 (plus a $1 activation fee), and is a great ‘one stop shop’ as far as home entertainment goes. As far as entertainment goes, Fetch has you well covered. As mentioned earlier, Fetch gives you the ability to serious ramp up your home entertainment endowment. For an extra $20 a month, you have the ability to purchase an entertainment pack, which includes over 35 channels. However, if $20 is a bit too much and you can’t see yourself watching all the channels regularly, the packs can be broken down (as above) into four separate ones, each costing $6 a month. Channel packs are generally broken up into interest groups, so if you’re a sports fan you might like to select the ‘Vibe’ pack. If you have kids, you might like to select the Kids pack, and so on. Though for a one-stop shop for entertainment, the $20 ultimate pack sounds pretty good. Over 5000 movies to rent or buy. Fetch TV is also intuitively integrated with your smartphone. For either Android or Apple, Fetch has developed a free app that also acts as a second remote control. With the app you can set recordings remotely. Did you forget to set the recording of the 80th rerun of the Golden Girls in the morning? No matter, just use your phone to hit record when you’re out and about. Of course, the mobile recording feature is only for the Mighty player, but both players also allow you to watch premium channels on-the-go, and watch shows and movies anywhere (this depends on how much mobile data you have!). Fetch TV really is an all-encompassing home entertainment hub, and it’s refreshing to see that there’s minimal compromise when opting for the cheaper Mini player. Fetch vs Foxtel vs Apple TV: Who’s the winner? 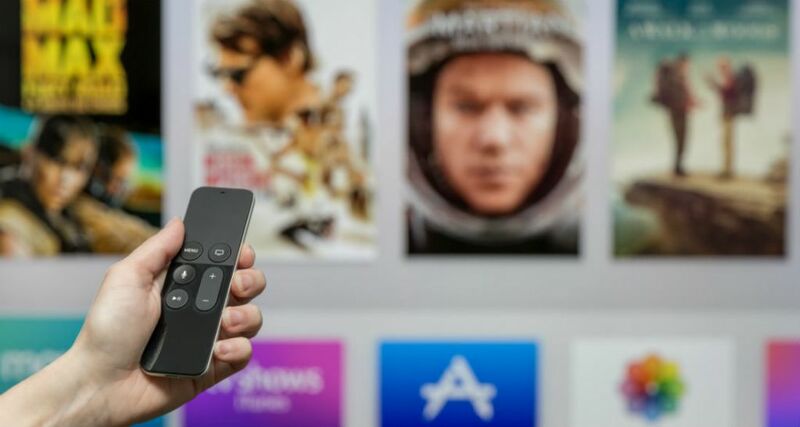 The main differences between Fetch, Foxtel and Apple TV lie in their costs, and what opportunity you have for entertainment packages, as well as how they act as a home entertainment hub. As far as all-out entertainment goes, it’s hard to separate Fetch TV and Foxtel. Both equivalent packs offer a swathe of channels covering entertainment, drama and sport. You can watch NBA games with both Fetch and Foxtel, for example. For NRL and AFL, you’ll pretty much have no choice but to go with Foxtel, though! However, where Fetch pulls ahead is its integrated Netflix, Stan and FTA catch-up TV apps. Foxtel does not have this; instead, you’ll have to rely on another avenue to get these, such as Apple TV, which seems to be an expensive workaround for streaming these services. Another main drawback is the cost of Foxtel. For an equivalent package to Fetch’s offering, you’re looking at spending $71 a month! Adding salt to the wound is the fact that Fox Sports lost EPL TV rights to Optus, so fans of English football may feel even less incentivised to purchase a Foxtel package. Foxtel do provide coverage of games through a few clubs’ specific TV channels though, including Manchester United and Chelsea among others. However, the increased cost comes with the benefit of having these channels broadcast on TV, rather than streamed using the internet. Again, this is likely a non-factor for people with unlimited data plans, but for those with data caps, it is also a consideration. Where Fetch TV mainly compares with Apple TV is the access to on-demand purchasing of TV shows and movies, as well as integration of streaming services like Netflix. If this is one of your main concerns – not the Entertainment packages mentioned above – then it may well come down to how comprehensive Fetch’s library is versus Apple’s iTunes. You may find you prefer one over the other; another benefit is that through Apple TV you also have access to the App Store and the opportunity to download games. Foxtel is also no slouch in the on-demand entertainment side of things. With any Foxtel subscription, customers get access to Foxtel Go, which is a mobile-based streaming service. It allows you to stream all that’s good and holy on Foxtel, including TV shows, movies and sports. It’s a free download and is included with your Foxtel subscription. However, Foxtel is not exactly friendly to Netflix and Stan integration. Where Fetch wins out against Apple TV is through its set top box and PVR attributes. Apple TV does not have these functions, and you can’t watch live TV through it. However, Apple TV is a fair bit cheaper, though you’ll still have to pay for your preferred streaming services. Foxtel does have a great PVR/set top box set-up in its ‘iQ3’ device, which is mandatory for all Foxtel subscriptions and carries an upfront cost when you go to purchase Foxtel. Fetch TV seems to offer the best of both worlds between Foxtel and Apple TV. It’s also a good compromise on price between the two. 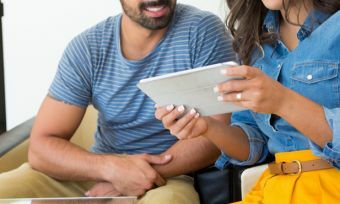 While you’ll be relegated to streaming much of your content – versus straight TV in Foxtel’s case – with Fetch, those with unlimited broadband connections will likely not notice any difference – especially if you choose an unmetered ISP mentioned earlier. Fetch TV also has much more enhanced functionality than Apple TV, albeit at extra cost. So, unless you’re specifically in the market for either Foxtel or Apple TV, we suspect that Fetch TV offers a good mix of the two, and is your one-stop shop for all things ‘home entertainment’. Is Fetch worth the money? Fetch is a surprisingly welcome and refreshing change of pace in the SVOD world. While it seems many people moved away from traditional pay TV outlets in favour of streaming services, many of these people may yearn for easy-access entertainment and sports packages like they previously received from the likes of Foxtel. Simply, you can’t get live TV and sports with Netflix and the like, which is a turn off for many people. On the other hand, a lot of people became disenfranchised with traditional pay TV because they found they were perhaps paying too much. This left a void in the market with people looking for streaming, on-demand purchases, and entertainment and sports packages – all rolled into one simple set top box/PVR. This is where Fetch filled that void, and we suspect it’ll become increasingly popular in the future for those looking for an easy bundled solution to all their home entertainment needs.